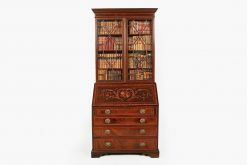 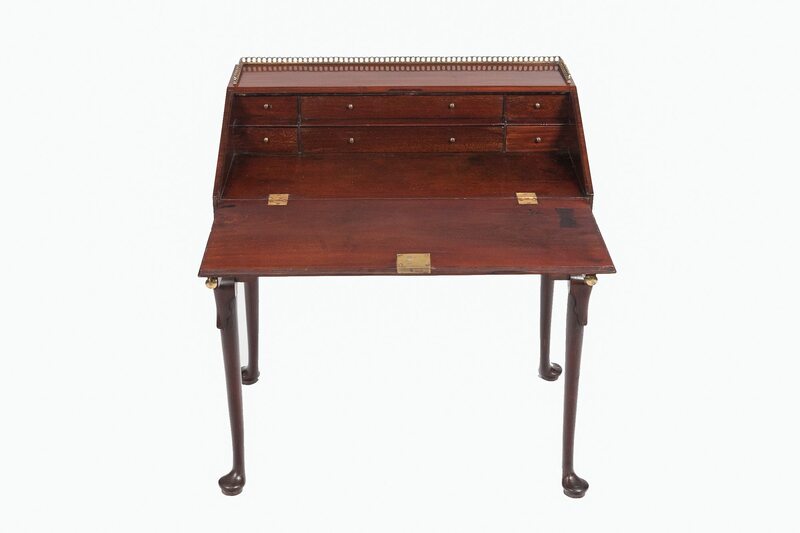 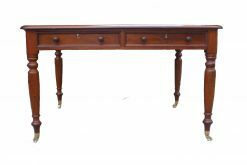 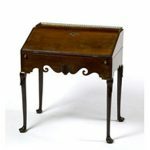 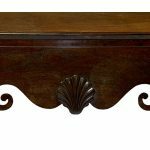 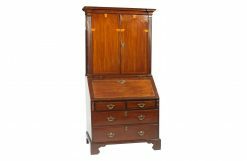 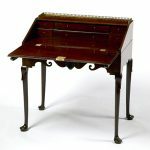 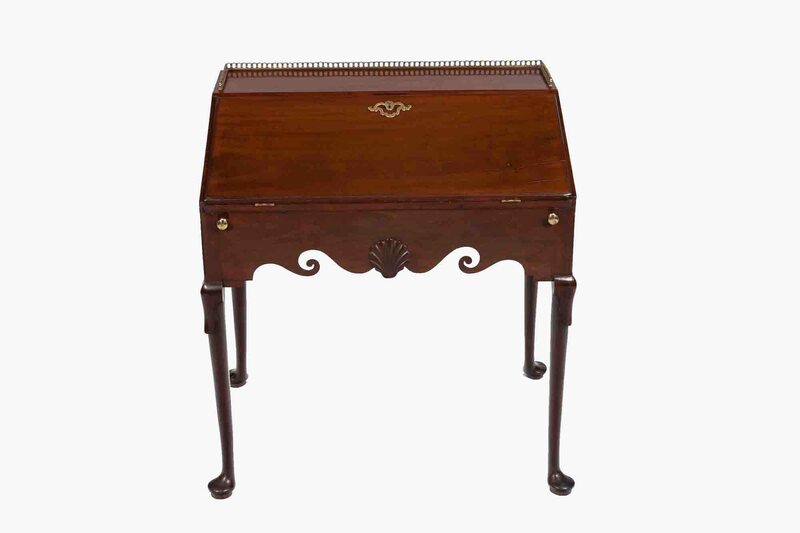 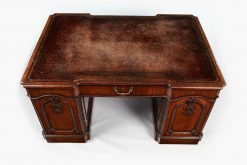 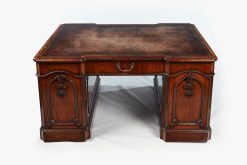 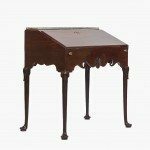 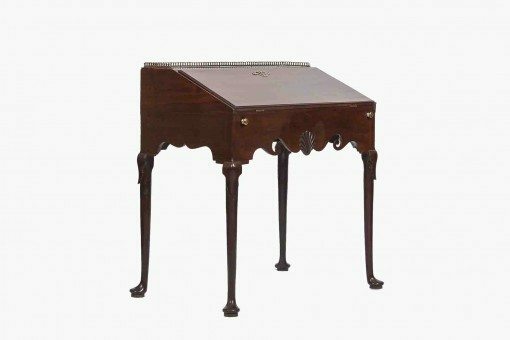 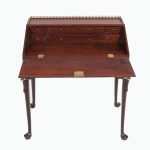 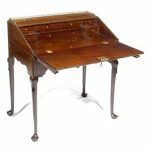 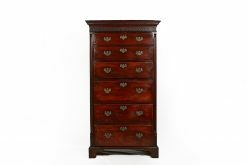 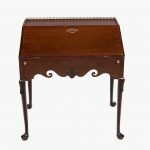 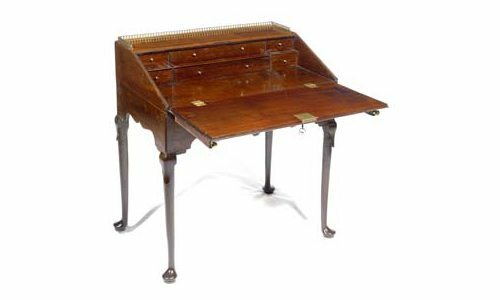 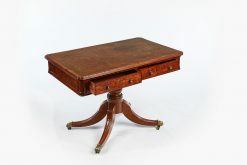 18th Century George II mahogany ladies writing bureau topped by brass pierced gallery. 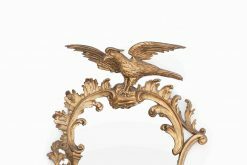 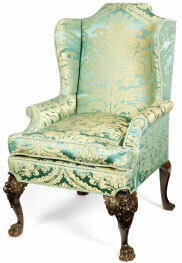 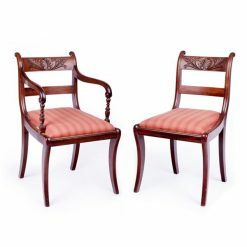 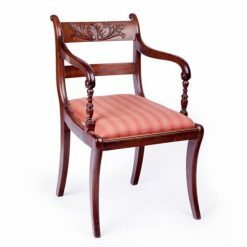 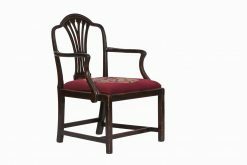 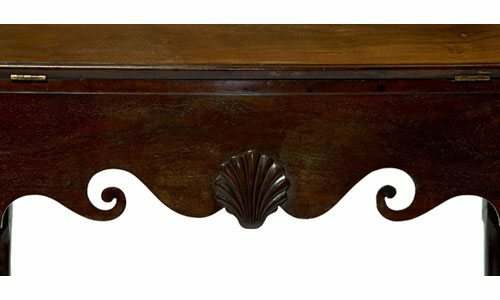 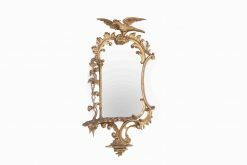 The sloped fall front enclosing six drawers above a shaped frieze incorporating scrolls flanking a central scallop shell above stylised acanthus embellished straight legs and pad feet. 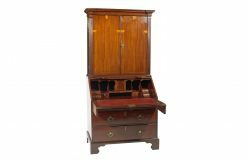 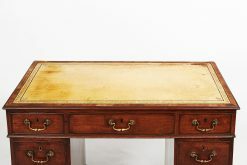 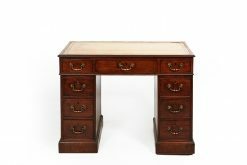 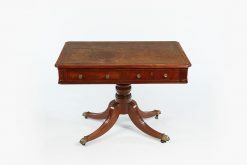 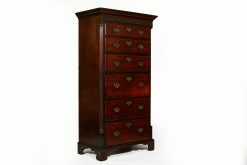 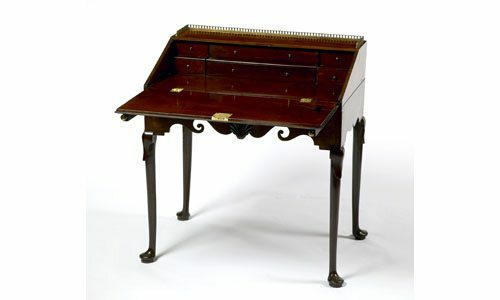 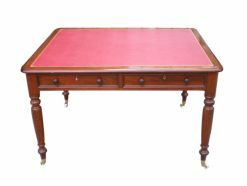 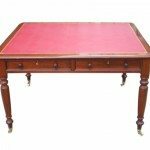 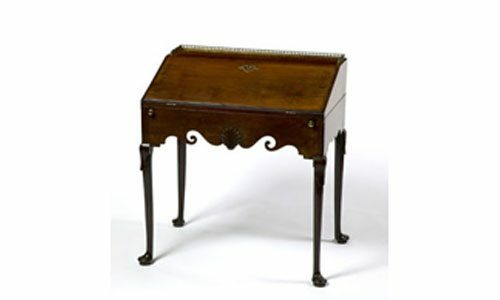 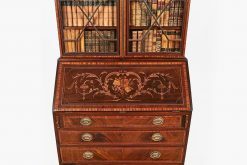 To enquiry about "8257 – 18th Century George II Writing Bureau", please complete the below form.